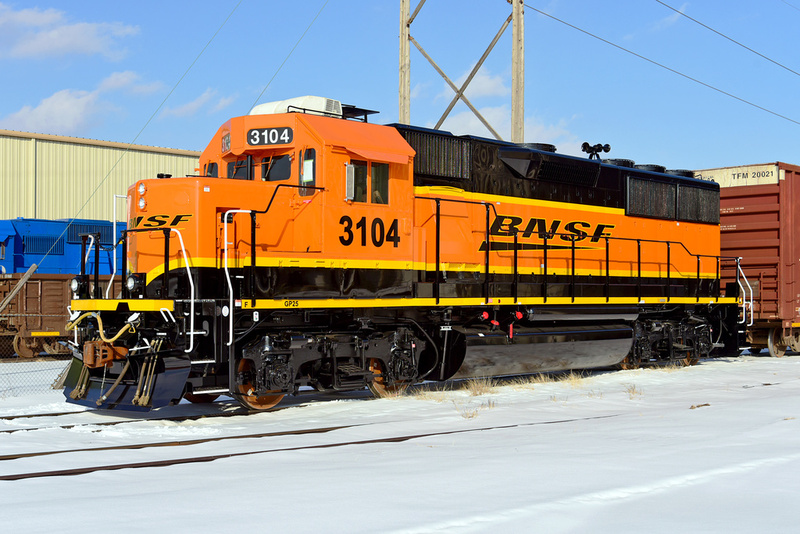 BNSF 3104 waits for delivery to BNSF, with fresh paint from MAC. Beauty !!! Sunshine , snow and fresh coat of paint !!! @jmadhavadas Thanks! Yep, it’s good to catch them with perfect paint and no dirt whatsoever. I may never see them again, either, given the size of BNSF.